Over recent decades criminological research has changed from a gender-blind discipline which equated crime with men and thus ignored questions about gender, to an approach that studied gender by showing statistical differences between men and women, and then finally to a more inclusive and elaborate gender-theoretical approach to crime and crime control. However, despite this development, research on gender - and in particular research on gendered norms and the construction and enactment of masculinities - within the criminological field has been unable to keep up with developments in gender research. 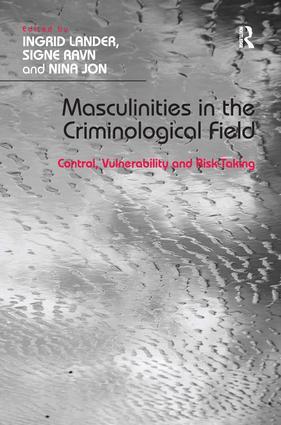 Since 1990, only a few anthologies with a gender-theoretical orientation focusing on masculinities within the criminological research field have been published. Many of the theoretical developments in gender research still have difficulties in reaching into mainstream criminology, partly because such developments are often published in feminist and/or gender theoretical journals. This volume both problematizes and renders visible conceptions and norms regarding male behaviour and masculinities and shows how these affect the criminological field through providing a theoretically sound and clear gender perspective to this field of research. With sections based around the following three themes: negotiations of masculinity in institutional settings, vulnerable masculinities and risk-taking and masculinities, this volume will be of interest to scholars of criminology, sociology, social work and gender studies, as well as policy-makers, and law enforcement professionals. Ingrid Lander is Lecturer in the Department of Criminology at Stockholm University, Sweden. Signe Ravn is Researcher at the Danish National Centre for Social Research in Denmark. Nina Jon works for the Norwegian National Crime Prevention Council in Norway.